Gregory S. Johnson, PT, FFFMT, FAAOMPT graduated from the University of Southern California in 1971 and completed a one year residency program at Kaiser Vallejo under Maggie Knott. He remained as senior faculty for six years. Mr. Johnson is best known for his identification of the need for Physical Therapists to integrate treatment of the facial system into manual therapy and the development of the first Soft Tissue Mobilization course for Physical Therapists in 1980. 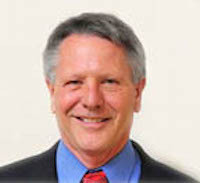 In addition, Mr. Johnson utilized his extensive background in PNF to adapt standard manual therapy techniques of Joint Mobilization and develop the dynamic techniques of Functional Mobilization™ and Resistance Enhanced Manipulation™ (REM) techniques for joints, soft tissues, and neurovascular restrictions. Mr. Johnson has trainied or directed the training of over 40,000 therapists in the USA and internationally. Gregory Johnson is the co-founder and President of the Institute of Physical Art, the co-developer of the Functional Manual Therapy™ approach to patient care, and the Director of an APTA credentialed AAOMPT Fellowship program in Functional Manual Therapy™. He has published multiple chapters and articles on Soft Tissue Mobilization, PNF and the Orthopedic Patient, Functional Mobilization, and Functional Test for the Lumbar Patient and is currently involved in several research projects on Functional Manual Therapy.